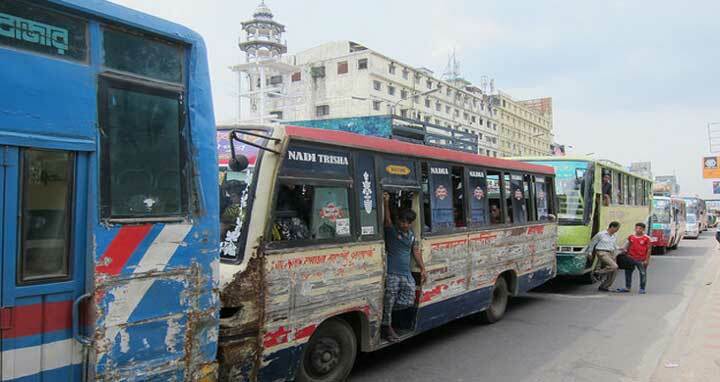 Dhaka, 9 August, Abnews: As part of its efforts to curb road accidents, Dhaka Road Transport Owners’ Association has decided not to run any bus on contractual basis, which leads to rash driving, in the capital from Thursday. “If anyone runs buses on contractual agreement from tomorrow (Thursday), we’ll recommend cancellation of the registration of his buses. We’ll also revoke his membership from our association,” said association’s General Secretary Khandaker Enayetullah. Enayetullah, also General Secretary of Bangladesh Road Transport Owners’ Association, came up with the announcement while addressing a press conference at the BRTC Bhaban in the city. He said drivers engage in competitions with each other to earn more following the plying of buses as per agreements with bus owners, posing a high risk of accidents. “Drivers and workers will run buses on wage basis from tomorrow (Thursday). The transport association leader also said counter bus services will be reintroduced in the capital. He also said they support the draft Road Transport Bill in general although they oppose some sections.